These are typically NGOs and individuals raising funds for disaster relief. The unprecedented floods have caused havoc. The ROTARY CLUB OF MYSORE WEST is raising funds to help those impacted, rebuild their lives. The 2016 drought and farmer suicides in Maharashtra has left many children orphaned. Suryoday Parivar is rebuilding their lives. GAAY HAMARI MATA HAI - SURYODAY JEEV DAYA ABHIYAN. Campaign to rebuild the homes of tribals impacted by cyclone GAJA. Cyclone GAJA has caused unprecedented havoc. Please help us rebuild homes that have been destroyed. 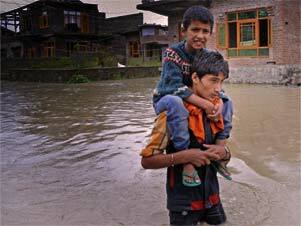 Habitat for Humanity are trying to help people who are being ravaged by the floods coursing through India. Here’s a chance to do your bit.